We’ve been seriously impressed over the years with the creative ways our members have designed their offices. They’ve succeeded in overcoming any space challenge with a bit of intentional placement and key touches that make an office of any size come alive. We’ve outlined five of the top tips for making the most out of a small, short-term office space. Where you decide to place your desk is a huge component of your overall office design. In general, most interior design experts suggest placing your desk as far away as possible from the entrance of your office. 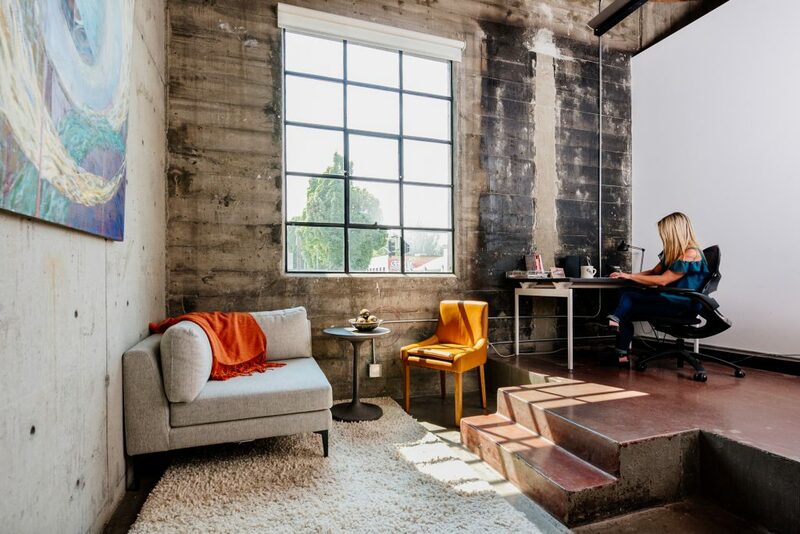 Most people follow the age-old advice of not having their back exposed to the door, in which case the left or right wall are a good option for a small space. If it’s just you in the office, think about sticking to just one desk–you can make your space seem much larger if you don’t “cut the room in half” with two desks at the same height. A sit-stand desk can make a huge difference in how comfortable you are in your space throughout the day. You might start the morning sitting, but feel more comfortable standing after lunch. 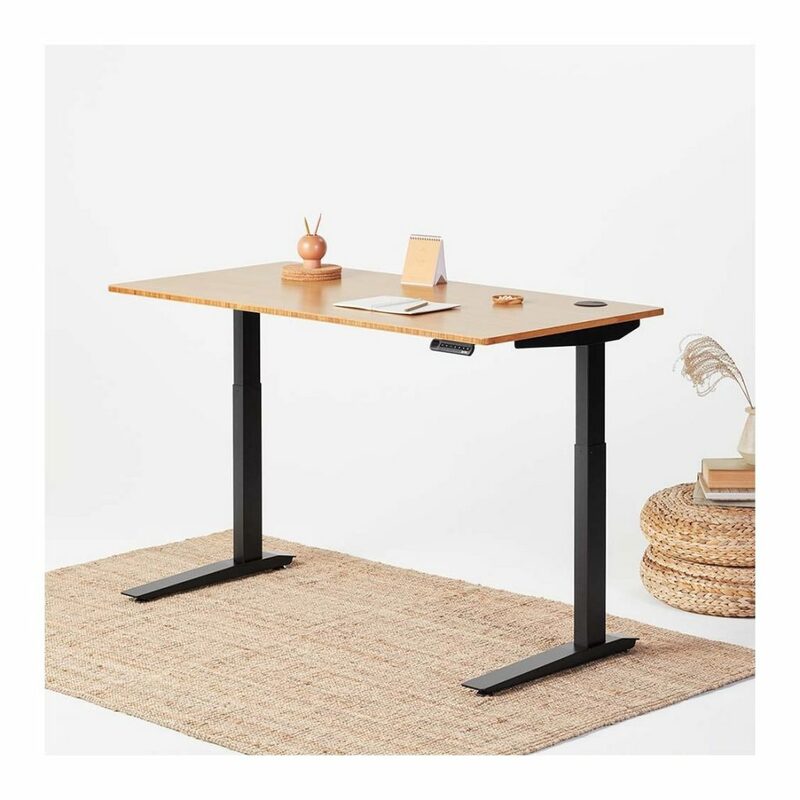 These sturdy desks from Fully are what we recommend and they’ll last forever–no matter where your next office is. You found the perfect lamp, but aren’t sure where to place it? An accent table lamp will work best on a high shelf or low end table on the opposite side of your desk. If it’s a floor lamp, place it in a far corner near the entrance to let the light fall throughout the space. Depending on your office you may have glass walls or a window to create depth. No windows? Accent objects that have a pop of color are a perfect solution, like this chartreuse office stapler set from Poppin. Framed or canvassed art can also add color and warmth to your space. Because shared office spaces likely have limitations on what you can do to the walls, lightweight art that can be mounted with removable picture holders are perfect. A thin picture hanging nail usually is an easy fix after you move out of your space. Consider hanging your pictures above eye level to draw the eye upward and create the illusion of a higher ceiling. If there’s one addition to your small office that can really make a huge difference it’s this all-purpose pegboard from Ikea. For your office in a shared space, skip the wall installation and use the clips to secure it to the back of your desk. You can customize what kinds of hooks and trays you need for your supplies and create more elbow room on your desk. Getting rid of desk clutter will also make your space seem larger. Instead of getting a typical coat rack, use command hooks to lift your jacket, purse and backpack off the floor. You might also try these magnetic under-the-desk hooks from Fully that are strong enough to hold your bag and are moveable. Keeping the space below desks unblocked and clear can also create the illusion of a larger space. Tying up cables and cords with zip ties under your desk or adding an area rug will extend the eye to all corners of the room–especially if you have cement floors. 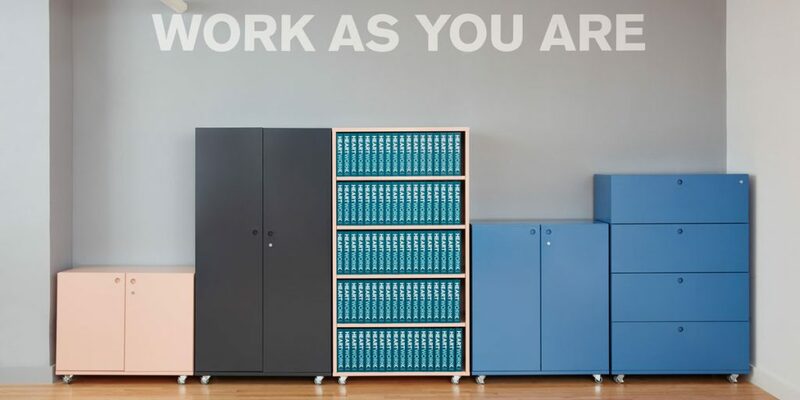 File cabinets that roll underneath your desk are great space savers, but will cut into the open floor space. Instead, think about a colorful raised cabinet that can also be used as a shelf for a plant or hold an additional pegboard, all without damaging your space. Whichever storage type you decide to get, just make sure its raised by at least an inch off of the floor. It wouldn’t be right if we didn’t give ourselves a shout out. CENTRL Office has beautiful offices for companies of all sizes–even if right now, it’s just you! Stop by one of our offices and see for yourself, we’d love to meet you! Whether it’s to get a little work done outside of the house, meet with potential clients or brainstorm with partners, CENTRL Office will always be your home.